parkID removes the need for ticket stubs or other physical parking evidences by using the vehicle registration number as an unique id. parkID is the markets leading tool for providing you with easy, user-friendly and efficient administration of your parking space. parkID Access is an automatic gate system that opens when recognizing the car's registration number. parkID guest parking is an easy-to-use solution for giving visitors and guests a parking permit. With parkID Logistics you can arrange for automatic coordination of deliveries. parkID OnBoard control system is a system for the cars of the parking enforcement officers. With automatic parking time, you no longer need to worry about tickets for parking violations. HAVE YOU RECEIVED A PARKING FINE? Security Park is not just a regular parking company, we are just as much a technology company. Our developers create the solutions of the future for efficient parking administration. Through innovative parking solutions and groundbreaking technology, Security Park makes parking a lot easier, safer and better for our customers and users. Finding a parking lot can be difficult and inconvenient. Make it easy by using leieparkering.no. We have a number of areas where you can easily rent short-term or long-term parking. Rent a parking space. We have a number of areas where you can easily rent short-term or long-term parking. With advanced sign recognition cameras and automatic parking time, you no longer need to worry about tickets for parking violations. As a technology driven company, our developers continuously create new solutions for efficient parking administration. For you as an owner of a parking facility, this means your facility gets better all the time - for us, this means satisfied customers who love our products and solutions. parkID is the markets leading tool for providing you with easy, user-friendly and efficient administration of your parking facilities. Together with automatic number recognition, you'll get an efficient tool for good and profitable management of your facilities. Contact us today for a non-binding offer. 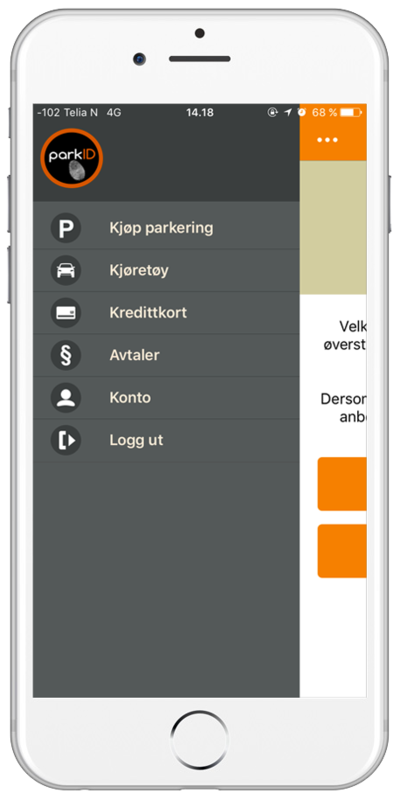 parkID allows users to easily manage their own parking and parking space through an app. The users manage their own accounts, and all contracts, payments, terminations and renewals can be made automatically. parkID guest parking is an easy-to-use solution for giving visitors and guests a parking permit. All that is required is the registration number of the car. With parkID Logistics you can arrange for automatic coordination of deliveries. Suppliers can coordinate parking reservations at the time of delivery. The parkID OnBoard control system consists of a touchscreen and one or more cameras, mounted on the cars of the parking enforcement officers. parkID Access is an automatic gate system consisting of one or more cameras that automatically allows access through the gates of the parking facility when recognizing the car's registration number.